You have to hand it to Sony. They really are committing to building this Spider-Man-less verse with the webslinger’s supporting cast. 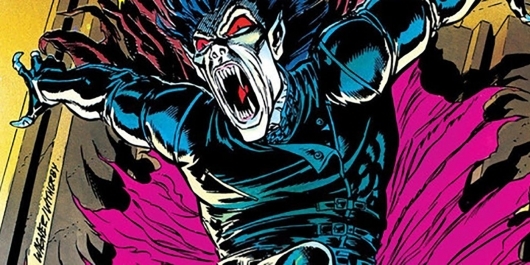 Following the success of the Tom Hardy-starring vehicle Venom, the studio has greenlighted other spinoffs like Kraven the Hunter and Morbius. The latter of which will star Jared Leto as the title character. Now the film has officially started production, marked with an image from the set shared by Leto. It’s also been announced that Jared Harris has joined the cast. More on these reports and the image below. It’s going to be a very interesting 11 weeks to say the least. But the film is happening, whether we like it or not. And who knows, maybe this will be a hit at the box office. Sony is certainly confident in it by releasing it in the summer of next year. But as for plot details, we don’t even know if the film is part of a larger universe. So far we only know that it will have Michael Morbius, a brilliant scientist who is stricken with a very rare blood disorder. Using a combination of vampire bats and electroshock therapy, he treats himself in order to cure him of his disease. However, when one of the treatments goes horribly wrong, he finds himself turned into a half-man half-vampire. He needs blood in order to survive, and cannot stand the sunlight. However, these new-found abilities have also given him increased strength and speed. Not only that, but he is able to fly and can heal quickly as well. While we know who Leto is playing, Deadline says that Harris’s character is remaining under wraps. For all we know, he could be playing an ally or be an adversary. The film will pull from the comic, which blends in science and supernatural elements. So it should be interesting to see which side of the spectrum Harris’s character is on. Daniel Espinosa, who is famous for directing Life – which many jokingly say is a Venom prequel – directs from a script written by Burk Sharpless and Matt Sazama. Morbius opens in theaters in summer 2020.